NOTE: This blog post is part 18 of my INSTAGRAM SERIES - content all about helping YOU manage your way around instagram. In the INSTAGRAM SERIES I've touched on subjects such as why am I losing followers on instagram , how the instagram algorithms really work and how to get paid influencer work on instagram. Just click here to find all the other parts in the series. 'What if organic growth on instagram is no longer possible? What if I post my most amazing images on instagram, use the best hashtags, leave thoughtful comments but still don't gain new instagram followers?' It's a question one of my creative community members asked a few weeks ago and one that somehow lingered in my mind. Like her, many of the talented and committed creatives I speak to daily are struggling to gain real traction on instagram or worse, losing followers week after week, month after month. NOTE: This blog post is part 17 of my INSTAGRAM SERIES - content all about helping YOU manage your way around instagram. In the INSTAGRAM SERIES I've touched on subjects such as why am I losing followers on instagram , how instagram is trying to get rid of (food) bloggers and how to get paid influencer work on instagram. Just click here to find all the other parts in the series. Now on with today's post! DISCLAIMER: One of my lovely creative community members, Roberta alerted me to the article I will be referencing through this blog post. Thank you Roberta. So grateful. It has been a while and a half since I've penned a piece for the instagram series; that's because it's been all kinds of busy behind the scenes at The Little Plantation HQ. But with instagram's unprecedented move to speak openly about how their algorithms really work and whether the shadow ban is or isn't a thing, I HAD to create another part in my popular blog series. So according to this article here's what they said in a nutshell and - more importantly - here's what it means for you as a (food) blogger, instagrammer and influencer. Have you started a blog or small business that is earning you money, but not as much as you'd like? Are you unable to find direction in your business and need support nailing your focus point? Do you feel isolated as a solopreneur and lacking a community of like-minded people who totally get what you do and can help you progress? Do you know a lot about your business but not so much about reaching your ideal customer and getting more clients through the power of a website, blog and social media? Then my first 1-day small business mastermind intensive may be just what you're after! NOTE: This blog post is part 11 of my INSTAGRAM SERIES - content all about helping YOU manage your way around instagram. In the INSTAGRAM SERIES I've touched on subjects such as why you're losing followers (and what to do about it), how to grow your instagram following and the one thing no one talks about in food blogging. Just click here to find all the other parts in the series. As for today, I'll talk in detail about the new instagram stories changes and, more importantly, what these changes mean for YOU if you're trying to make it as food blogger or instagram influencer. Love instagram or not, the one thing no one can call instagram is boring, stagnant or uninventive. Nope, this platform is ALWAYS constantly and continuously reinventing itself, pushing boundaries and thinking outside the box. And the new instagram stories features are - yet again - instagram showing off its innovation and creativity. Do you get a bit reflective towards the end of a calendar year? I do, big time! In part because it’s always incredibly sobering to think that yet another year has passed, but also because it’s so helpful for me to analyse what worked, what didn’t work and what to focus on during the new year. When I started blogging I had a practice where I shared my food blogger wish list for the year ahead. I did it for the year 2015 and 2016 and then fell out of this practice, settling instead for quietly writing the new year’s wish list in my journal. I call BS on that because sharing the list publicly makes me work harder, gives the wish list more power to manifest itself and provides me with a sense of accountability. Hence here it is, my wish list for 2019. You ready? Disclosure: This is a paid advertorial with GEM® Avocado. All opinions expressed in this blog post are my own and I was in no way influenced by the company. For me the best recipes are easy, vegan, quick and SO good, you can’t help but make them again and again and again! Today’s vegan green goddess sauce recipe, which I’ve developed in collaboration with GEM® Avocado, fits this criteria perfectly. It’s the kinda, throw-it-together-last-minute-sauce that ALWAYS comes out tasting delicious, even if you get a few of the measurements wrong, swap one herb for another, or add some extra pepper for good measure. It’s not precious or precise, though I’ve written it down in the best version that I know so that you can make the green goddess sauce, tinker with it and then make it even better ;). Disclosure: This is a sponsored post for Denby Pottery. All opinions expressed in this blog post are my own and I was in no way influenced by the company. In case it's not blatantly obvious I LOVE being social. You know, chatting, hanging out and chilling with friends, having a laugh or two and nibbling on some delicious vegan food in the process. Sharing experiences like these really help me get through the long, dark days and nights in January. And having pottery pieces that are both functional and pretty go a long way in making these kind of evenings with friends fun and stress-free. In September, Aimee from Twigg Studios and I taught a 3-day food styling and food photograpy workshop in my home 'studio' in London. It followed on from our 3-day workshop which we taught back in March this year; we enjoyed it so much we decided to do it all again and am I glad we did; we had SUCH a good time. 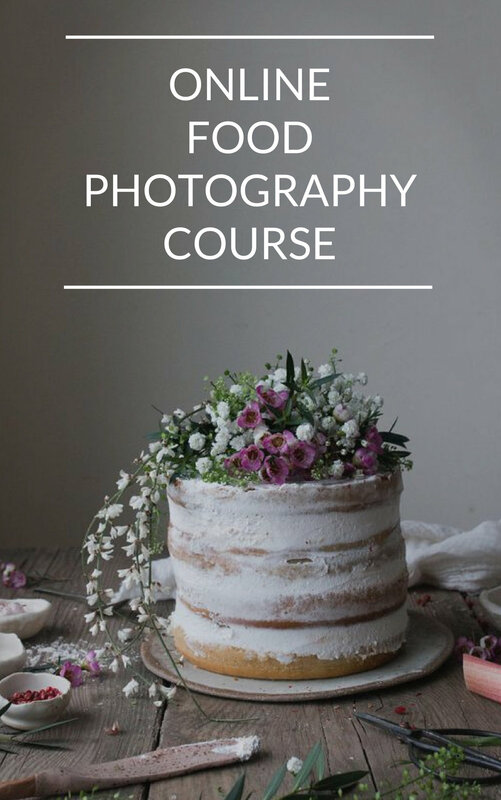 So much so that we thought it would be nice to have YOU take a look at what went down, just in case you're thinking about attending one of our food photography workshops in the future ;). Ok then, without further ado, let's get stuck in, shall we? After the success of this summer's 10 day FREE instagram photography challenge, I'm over the moon to invite you all to join me for my 12 day FREE instagram autumn photography challenge! Like last season's photo challenge, this one is really about giving you the framework, support and inspiration to pick up your iphone or camera regularly, practice your skills and fine tune your photographic eye. Furthermore, this on-line challenge was lovingly designed for you, to allow you to establish a regular instagram posting schedule (sooo important as you know from this post here) and become part of a creative community. In addition, we're going to be working to establish a cohesive instagram grid with the aim of making yor instagram gallery irresistable. I strongly believe that practice makes perfect and photography is no exception; the more you pick up your iphone or camera, the better you'll get. 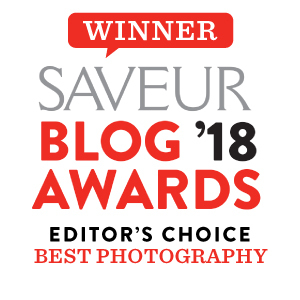 It's why I lovingly designed a FREE instagram on-line photography challenge where you can share your images with like-minded creatives who are there to provide you with inspiration and encouragement. Hi everyone! Today's blog post is all about sourcing and making wooden food photography backdrops. It's part of a series I started last year about backdrops for food photography. You can find part 1 here, where I talk about using paper (yes, paper!) and concrete (yes, concrete!) as a backdrop and part 2 here where I write in detail about using fabrics and metal. So are you ready for me to delve right in? It was probably around this time last year that Aimee from Twigg Studios asked me to run a food styling and food photography workshop with her in what seemed the unbelieveably distant future (March 2017!). Without hesitation I said yes and man, am I glad that I did. Though Aimee and I are VERY different people, us working together always kinda sorta really goes! And, I feel our lovely work connection shone through in this weekend's 3-day food photography and food styling workshop which was held at my humble, cosy home 'studio' in South East London. We only took 4 students each day to allow for lots of 1-2-1 attention and were over the moon that the workshop was sold out :).